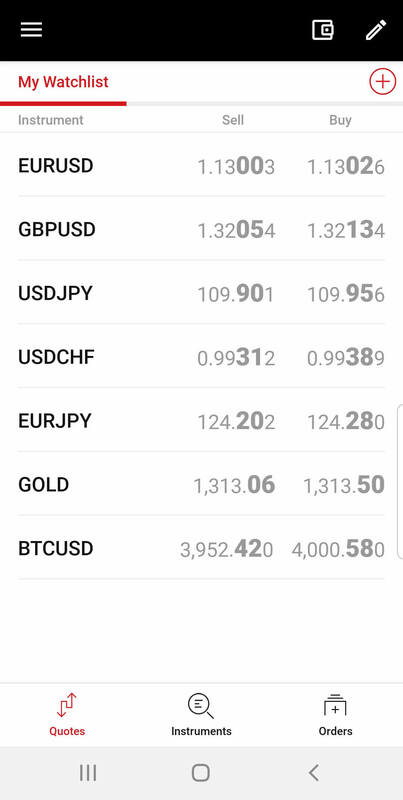 Nearly all brokers offer nowadays mobile trading apps where traders can speculate on the price movement of forex pairs, cryptocurrencies, indices, stocks and commodities. 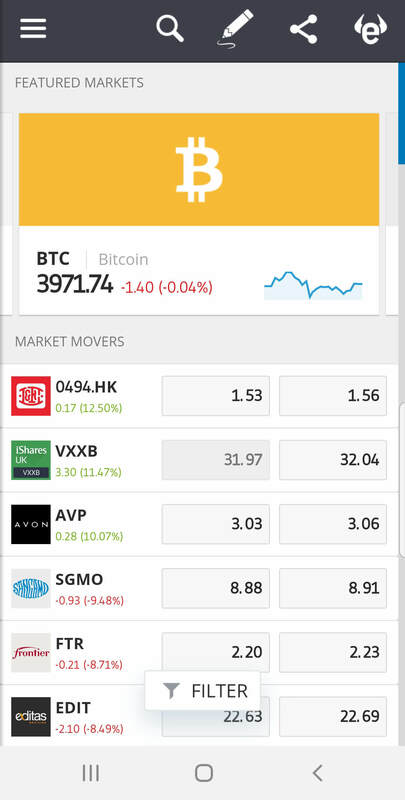 Today, we have focused on mobile trading applications that are available exclusively to Android users; here is a list of the 5 best of them (according to us). IQ Option has undisputable one of the most popular mobile trading platforms in the world. 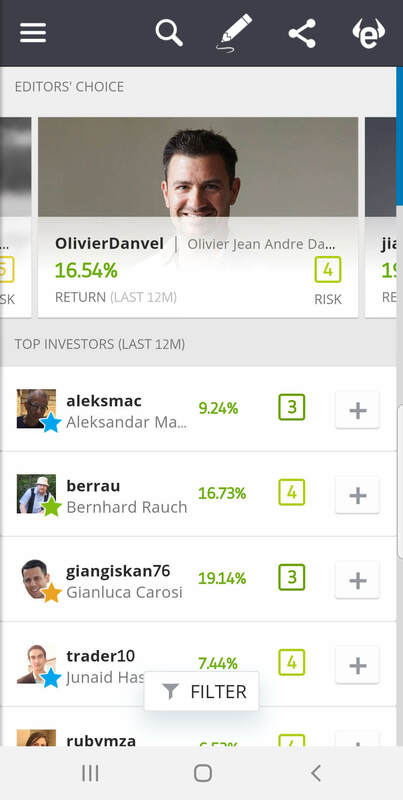 The interface of the IQ Option Android app is very innovative, sophisticated but at the same time, it is very easy to navigate in the app. We have not experienced any freezings of the platform nor any sudden closings of the application (as with some other mobile trading platforms). The application can be used not only for executing trades, but also for technical analysis. One can very easily add technical indicators, change time frames or move in the price chart. The IQ Option Android app is from the tested mobile applications the only one that features all the same tools as the desktop version, this was one of the main reasons why the IQ Android app claimed in our comparison the very first spot. 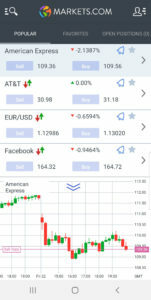 The use of the plus500 Android app is very intuitive. I like how Plus500 puts all information about the trade (leverage, overnight fees, spreads etc.) 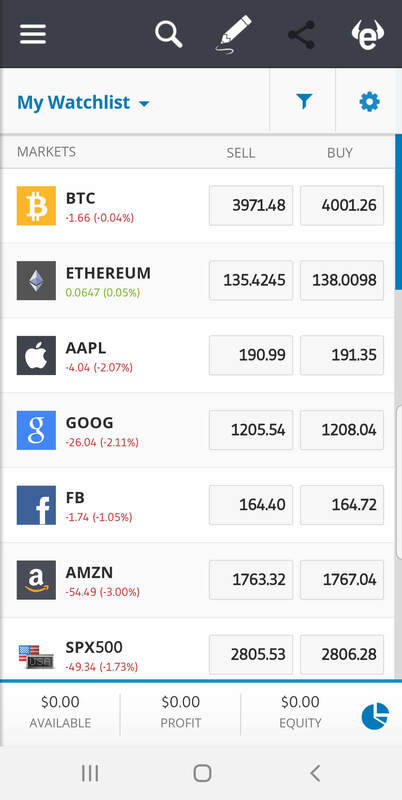 right below the buy and sell buttons so you have all this data always at hand. What is also great are alarms that one can set up, these alarms will notify you about price changes directly on the mobile app or via an email, SMS. The charting system works well, time frames are easily changeable and indicators can be applied to the graphs. 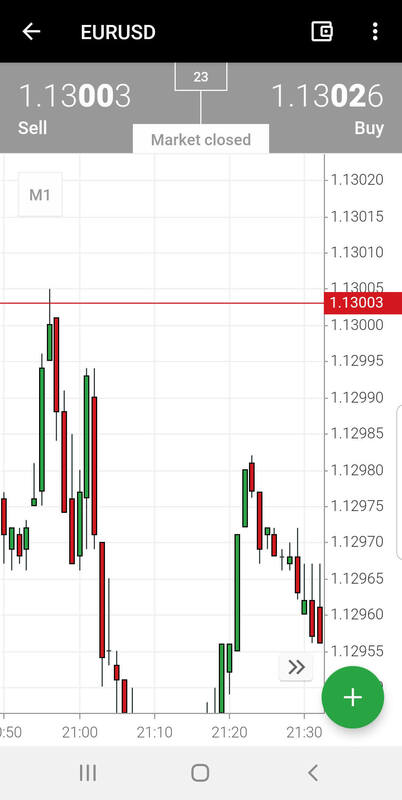 Sometimes the application does not rotate right away when changing the position of the mobile, so you have to shake the phone a bit to see the graphs on the width of the screen. The mobile platform is allocated to many languages depending on where you are located (For this reason, I couldn’t take screenshots of the platform in English). The XM.com Android application (MT5) is very light (both in colour and use). 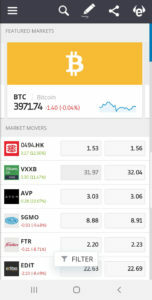 The navigation in the app is excellent and searching for assets is as easy as executing new trades. The XM.com app supports very basic technical analysis tools so there is no option to add any indicator to the chart or draw lines. The eToro mobile Android application looks very similar to the desktop version. 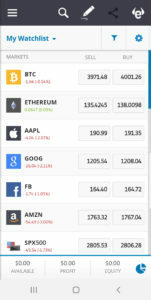 Navigation within the app is fairly easy just as is following and copying other traders on the platform. The app also features technical analysis section where one can change the time frame of the graph or add indicators and lines. That being said, working in the graph is somewhat complex and zooming in and out isn’t very smooth. I also experienced one time when the application closed itself for no reason. 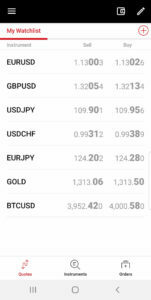 I was unable to find out why that happened, when I tried to trade on the eToro app for a longer time period, the same issue has not occurred again. 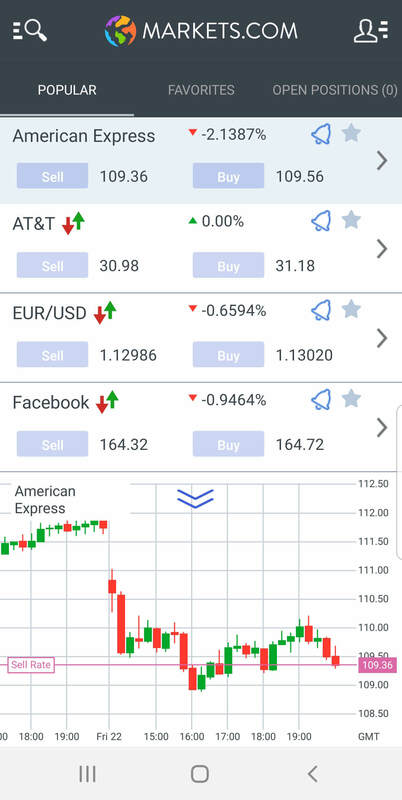 The Markets Android app runs very smoothly and has a very clean and modern interface. The charts are somewhat okay, but they are definitely not to be used for proper technical analysis (it is not possible to add indicators to the graph nor draw lines). A nice feature that the Market app has are alarms (push or email notifications). 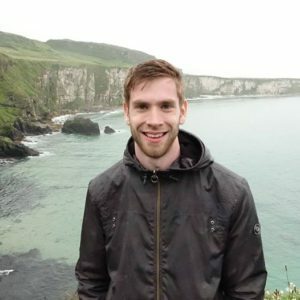 Hi, I'm Michael and my area of expertise is forex and cryptocurrency trading. I specialize in technical analysis, namely in chart pattern setups. I educate traders of all levels and I believe that prerequisite to successful active trading is always knowing risks of the game. My most current interest lays in cryptocurrencies, especially in Ethereum and in decentralized applications. I do not give investment advice, but for general inquiries please use the comment section under any article. Between 71.61-80.6% of retail investor accounts lose money when trading CFDs. Bitcoin will do to banks what email did to the postal industry.